If you are in the market for the best green juice powder and are following some of the trends in health and wellness, it will be apparent to you that nutrition is an important component. Some foods have been identified for particular properties and an individual can check out the wide range of foods which can help to promote wellness. As a matter of convenience, some of the foods are best obtained through juices, powders or other forms. Organifi is a company which provides options ranging from Green Juice to Biotic Balance Probiotic capsules. 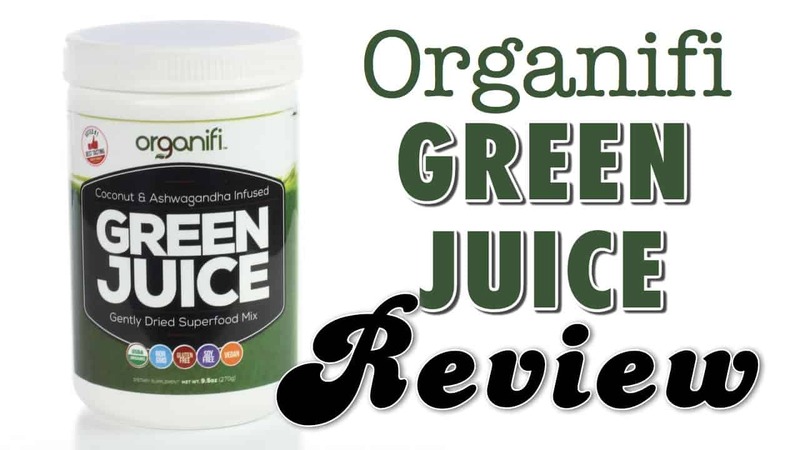 You will find a comprehensive Organifi Green Juice review below which will help potential customers decide whether the superfood might be a way to improve nutritional levels. 2 How Did This Green Juice Originate? 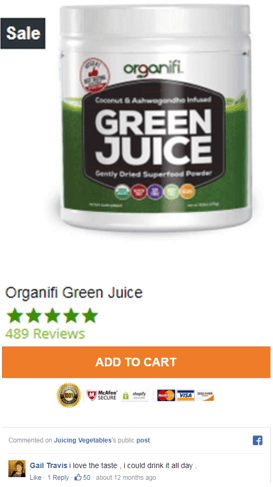 Organifi comes in the form of a Gently Dried Superfood Green Powder, as well as in Green Juice Go packs. Customers can obtain all the healthy superfoods in a single glass. There is no shopping for exotic ingredients, no juicing, blending, and no time spent in cleanup. Some of the world’s best superfoods are available in a proprietary formula designed to nourish your body with vital nutrients. 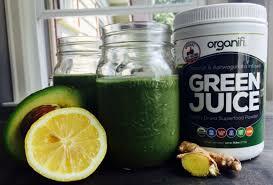 The company is owned by Drew Canole, who has experience in producing green juices for fitness and weight loss. How Did This Green Juice Originate? This amazing juice hit the market back in 2014 with the aim of assisting weight management, as well as stress related symptoms. We cover the ingredients in-depth below, as they’re the key to this unique composition that is driving fantastic results for it’s many customers. (Into the millions at this stage) This green powder really packs a punch and with all natural materials with zzero genetic engineering involved you’ll soon understand why it works so weel. But where did it all start? The founder Drew Canole who is also the founder of fitlife.tv went on a journey to produce the best green powder on the market to tackle cravings, appetite control and primarily reduce the hormones that cause belly fat. Drew was challenging the misconception that it’s impossible to lose weight. The reality is with a defined diet, exercise such as crossfit and stable mental health, it can be achieved. Great news for anyone reading this page is the juice tackles 2 of the above leaving you feeling better, as well as helping you lose stubborn fat. Below we cover all of the ingredients that synergistically work together to focus directly on your stubborn fat, materially bolster your energy levels and effectively improve your metabolism. Irrespective of what your nutritional level is, the ingredient list offered by this brand’s drink are certain to add to the nutritional health and wellness level of your body. There are eleven ingredients which make up a proprietary formula that is designed to increase energy, detoxify the body, soothe indigestion, manage blood-sugar, stop cravings and assist in sleep. These are some important characteristics about the list of ingredients which make up Green Juice. Chlorella: Chlorella is a green algae which is extremely high in protein. The product is excellent for the health, smoothness and strength of the skin. Moringa: Common English names for the Moringa tree include Drumstick Tree, Horseradish Tree, and Benzoil Tree. The product is a powerful metabolism booster for losing fat and is also known for its ability to detoxify the body. The tree is native to northwestern India’s Himalayas. The leaf growth is the most healthy segment of the tree. Some of the nutritional elements include B vitamins, Vitamin C, Beta-carotene, Vitamin K, Manganese and Protein. Spirulina: Spirulina is a type of blue-green algae which is suitable for consumption by humans and animals. The product is cultivated around the world as a dietary supplement, as well as a whole food. It is available in powder, flake and tablet form. The plant is able to serve as a natural blood sugar management plant. Mint: Mint is an herb known for its ability to stop cravings, soothe indigestion and assist in sleep. Originally, the herb was used to treat chest pains and stomach ache. It is helpful to reduce nausea. Beets: The root vegetable is food that is growing in popularity and recognition for its nutritional benefits. Beets are a good source of manganese and folate. The are also a good source of dietary fiber, phosphorous, iron, magnesium and Vitamin B6. The vegetable is popular for its ability to boost energy while exercising. Matcha Green Tea: Matcha consists of finely ground powder of green tea leaves which are unique in methods of farming and processing. The plant produces more theanine and caffeine, which accounts for the calm energy which people enjoy from drinking matcha. The plant is recognized as a source of antioxidants known as EGCG, which reduces stress, regulates hormones and reduces appetites. Wheatgrass: Wheatgrass is another vitamin and mineral packed superfood. The plant contained seventeen amino acids, which are the building blocks of proteins. Proteins are required by the body for health and strength. The food is made up of fresh-sprouted initial leaves of the well-recognized wheat plant. Wheatgrass is served freeze-dried or fresh and can be grown indoors. Some of the nutritional components are chlorophyll, amino acids, minerals, vitamins, and enzymes. 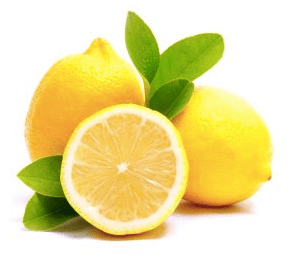 Lemon: Lemon and other citrus fruits are able to fight appetite. It also cools and alkalizes the body. The fruit is useful to stabilizeblood sugar which is in a normal range. This is one of the ingredients that definitely assists from a taste and stability point. Ashwagandha: Ashwagandha has a number of English names, including Indian Ginseng and Winter Cherry. It is a powerful herb in Ayurvedic methods of healing. It has often been suggested to strengthen the immune system after an illness. The plant is an adaptogen which is made up of a combo of vitamins, herbs and amino acids to modulate the response to stress or a changing environment. Adaptogens are instrumental in helping the body deal with external stresses, such as environmental toxins and internal stresses. Turmeric: Turmeric is a suggested natural pain management and anti-inflammatory agent. Those people with joint pain or inflammation can use the plant for relief. The plant is native to Southeast Asia and the Indian subcontinent. Coconut Water: The juice from coconuts is a natural refreshment. It is high in potassium and helps to hydrate the body and transport the other ingredients in the formula throughout the body via the circulatory system. The liquid has natural electrolytes, low calorie count, potassium, calcium and magnesium, as well as antioxidants, amino acids and cytokinins. Each of the items on the ingredient list is organically grown and are split into two categories. The proprietary Alkaline Greens Blend consists of wheatgrass, spirulina, chlorella, matcha green tea and moringa oleifera (horseradish tree leaf). The Super Food Blend is the title of the second group and is composed of ashwagandha root extract, red beet root, coconut water powder and turmeric. In addition to these main groups, there are some other ingredients including prebiotic fibers, monk fruit, oranges, mint and lemons. No review is useful unless it contains information about the positive and negative features of the product under consideration. The review must be honest and complete. While reviews from experts and affiliates are informative, it also is important to hear responses from regular people and whether they have enjoyed the experience in using the product. The positive features identified for Organifi include the fact that it contains ingredients which are linked to cognitive function and decreased anxiety. This feature is in addition to the nutritional components which improve energy levels and physical function. The product is very tasty, according to verified user descriptions who have real life experience with the product. 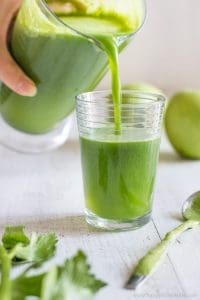 The fact that Green Juice is fully organic is a welcomed recommendation for anyone who is trying to avoid pesticides and other harmful ingredients in their nutritional superfoods. Some of the individual users mentioned the convenience of being able to get a daily dose of greens without having to dramatically alter their diet. They recommend the taste of the matcha and say that it is not grainy and is very smooth. The powder can be blended with coconut milk or almond milk. When you order the juice you’re protected by a 100% money back guarantee. No hassle money back within 30 days for whatever reason you have. Essentially makes the product risk free to purchase. All your superfoods now available in just 1 glass. Although many reviews online may be slanted toward the positive features of the product under consideration, potential users will also want to know if there are obvious negatives. We include all facts, so you can make an informed decision on whether this is right for you. In the case of this Green Juice, we found that there was not much precise information about the actual content of vitamins and minerals. Ingredient quantities were also lacking. This lack of information makes it difficult to precisely balance the intake of needed nutritional elements. There is no description of the amount of each of the components in the blend which makes up a single serving, just that the Alkaline Greens Blend weighs in at 5.1 grams and the Super Food Blend is 1.45 grams. So, if you needed to learn if there is adequate amounts to obtain the ingredient levels identified to affect the results in a clinical study, you don’t have the information necessary. The minimum recommended dosage for ashwagandha is close to 400 milligrams and it is the second listed product in the 1.45 grams of Super Food Blend. So this drink probably does provide a helpful dosage. The point made by the reviewer is that the labels don’t contain enough information to make precise calculations about the level of the nutritional supplements which are available. Another feature which may be a negative for many people is the price of the product. Although only a small number of people focussed on this aspect of the product and more so on the taste and results. Many reviews are easily available to find online and you can see many reviews directly from Facebook and their site which prove this is a real hit with their customers. Green Juice is non-GMO, gluten-free, soy free and vegan, which makes it suitable for many people on restricted diets of one type or another. Another characteristic which makes this powder drink unique is that it avoids hyperbole in its marketing claims. Organifi is a source of ashwagtandha, iron, wheat grass and spirulina. The greens powder offers a cognitive boost which stands out in the industry. It is above average in taste and effectiveness. The company is dedicated to showing you the healing and detoxifying benefits of natural plant life. Users can overcome major health obstacles and enjoy a life of happiness and vitality. The company is dedicated to eliminating misinformation about what is healthy and what is not. Many customers have experienced stubborn body fat and fatigue, as well as unexplained inflammation. Such ailments rob people of happiness and the ability to live normal healthy lives. It can be difficult to find time for shopping, chopping and preparing healthy food. This tasty solution brings together products which assist in finding natural cures and remedies. The company offers a top-tier organic, completely natural, vegan, non-genetically modified super food blend which is clinically tested and time-proven. There are countless testimonials and clinical trials which allow the company to offer a 60-day money-back satisfaction guarantee. Q. Where is this sold and is it possible for you to buy the product in stores? A. Although distribution is widening to stores, the easiest and most widely available place to purchase is directly on the official website. Q. Where is this made? Q. I live in Australia, is it possible to buy? A. Yes the manufacturer ships this product worldwide. In fact, no matter if you live in Canada, New Zealand, Singapore or India they will send you this delicious juice. Q. How much does this cost? A. You can purchase this as a single bottle, 3 bottles or 6 bottles. Starting from $57.50 per bottle right down to $41.65 if you buy the 6 pack. There is a subscription option available for those who want to become frequent users, an option many opt for after they taste this delicious drink. If you want to cancel your order at any time they make it really easy to do so. Just call 760-487-8587 between 10am-9pm Mon-Friday. A. Yes there is a 100% money back guarantee, no questions asked. If you don’t like this product for whatever reason they will refund your purchase within 30 days. Although you most likely won’t ever need this it makes your purchase risk free. Q. How do you take/drink it? A. You will receive detailed instructions with your order on how you should take this. Organifi is only 25 calories per serving & contains 1g naturally occurring (not added) sugar, 4 grams carbs, with 4 g fiber making it have 0 net carbs for those counting carbs & sugar intake. Q. Can I take this if I’m pregnant? A. Many females enjoy this delicious drink throughout pregnancy, however it is suggested that you always seek medical advice prior to taking any supplement for diet. Q. How should I store this product? A. If unopened you’ll be glad to know this product has a 2 year shelf life. Once opened, make sure to store this some place dry and cool. Make sure to consume this within 90 days of opening. Q. What do I do if there’s no scooper in my bottle? A. Go fishing to the bottom of the bottle with a fork and in most cases this will find. If there’s absolutely no scooper you can call and get a replacement or use your own measuring spoon. The red juice differs in that it boosts your energy levels, improves your overall mood and has a positive impact on clearing up your skin. With this option you get natural energy that lasts all day long. Q. Is there a caffeine free version? A. Yes there is, the red juice mentioned above. Q. Does this help with anxiety and depression? A. You should absolutely read up on their clinical trials from Georgetown medical. Their Green Juice has been shown to improve depression. The ashwagandha also helps with anxiety. Q. Is this good to take if you’re a vegan? A. Organifi does not contain Gluten, As their label states; they are not only Vegan & Organic, but also free of Gluten, Soy & Dairy! As with any nutritional supplement; they do recommend getting the go ahead from your family’s healthcare provider or nutritionist because they would be most familiar with everyone’s general health, history & any medication or supplement interactions. Q. Will this upset my stomach? A. This product does not contain any laxative effect. This product has received a high rating due to the fact that the overall customer experience is extremely pleasant. The taste of the product, the ingredients and the fact that it works as described all lead to the 5 star rating. This is a product you can purchase knowing it has our Crosstraininglife stamp of approval.